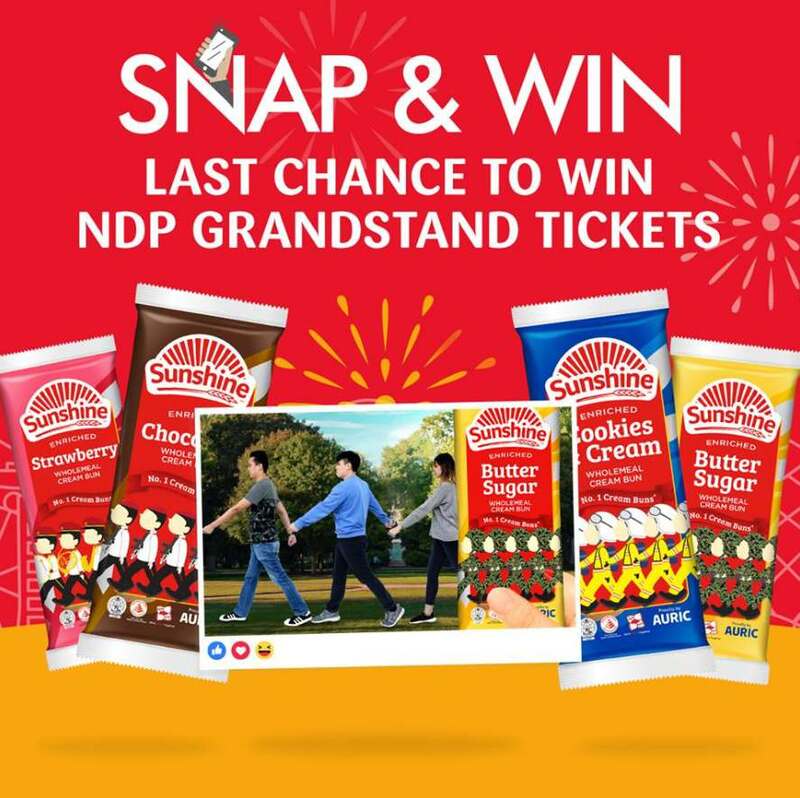 Participate now and win a pair of National Day Parade grandstand tickets or $1000 cash! There’s no limit to the number of entries you can make, so snap and win now! Full terms and conditions can be found on http://bit.ly/2uzG4aX. Find out more at Sunshine Bakeries.